Ducati Scotty and I stopped by Beaverton Honda last night to take a look at a new Fit and Civic for his family. 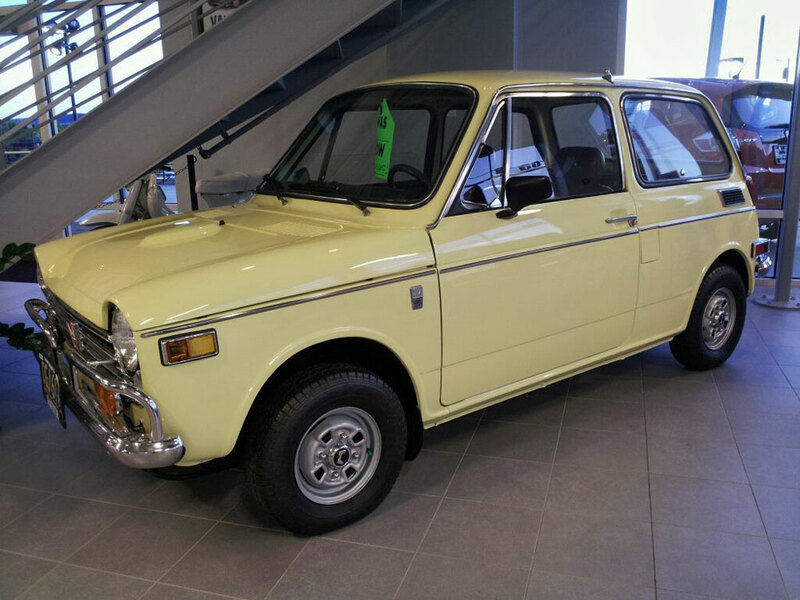 However, In the showroom sits this mint condition Honda N600. I believe this used to reside at their powersrpots dealership down the road. Regardless, it's a fine example of a very early Honda auto. The tag hanging from the mirror reads "PRICE: THEN: _____ NOW: Priceless"
In addition, they also had a mint Honda 50 scooter. Who doesn't love small vintage vehicles?